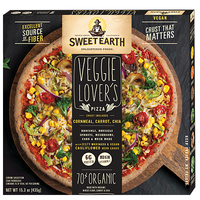 These frozen pizzas ROCK. 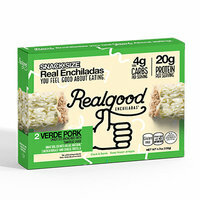 They’re made with wholesome ingredients and have a solid amount of protein, and we LOVE how crispy and delicious they are! 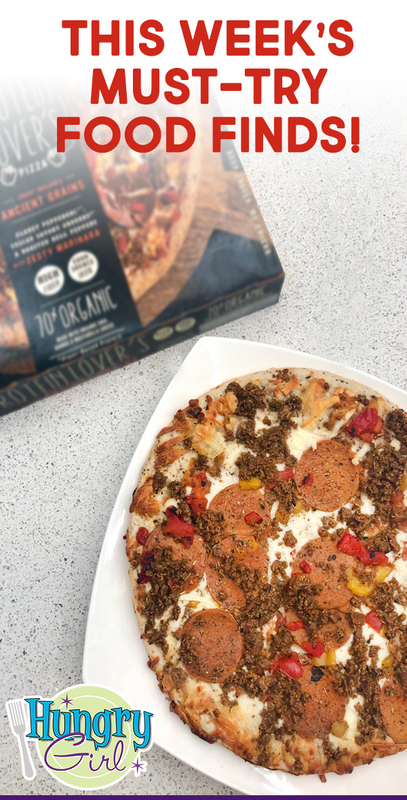 Try all four varieties: Veggie Lover's (it’s vegan), Herb Lover's 5 Cheese (on a rosemary crust), Truffle Lover's (with caramelized onion sauce), and Protein Lover's (featuring meatless pepperoni and beef-style crumbles). Click to find them near you! This new non-dairy frozen dessert is insanely amazing: light yet decadent, with outstanding fluffiness! We love all seven flavors, but the Peanut Butter Swirl is our hands-down favorite… There are CHUNKS of peanut butter in it! 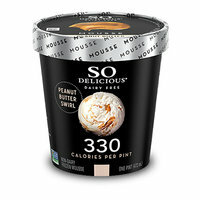 And the calorie counts are so low, you could eat a whole pint for 330 calories or less. Available nationwide, so grab a pint (or three) ASAP. The concept behind these freezer-aisle enchiladas is so smart and SO Hungry Girl! Instead of carby tortillas, the yummy filling is encased in wraps made of chicken breast and cheese. Talk about the low-carb, high-protein frozen entrées of our dreams! Both the pork- and chicken-filled varieties ROCK. Click to find, and prepare for a whole ‘lada love! The Hungry Girl Simply 6 Treat Truck Is Hitting the Road! In case you missed the big announcement, listen up! We've teamed up with Walmart to bring you this adorable food truck, loaded with free samples, exclusive recipes, coupons, and more! 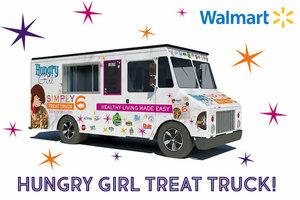 The Hungry Girl Simply 6 Treat Truck is coming to 200 Walmart locations this spring and summer. The tour starts this Wednesday in Florida. After Florida, it’s off to Georgia, Illinois, Missouri, Kansas, Arkansas, and Texas. Get the full list of tour stops here, and find the one that's closest to you! Bonus: Here’s a sneak peek at the food finds you'll get to try… FREEBIES GALORE! Happy International Waffle Day, March 25th! Have you tried our 4-ingredient Double Chocolate Brownie Waffles? Keep the fun going! Click “Send to a Friend” now!